Chicken Soup for the Soul: The Beautiful Game is the first book in Chicken Soup for Soul’s new soccer series. This series will be the first time the world’s favorite book brand has delved into the world’s favorite sport. The series recollects soccer’s personal stories in the inspiring and heart-warming way only Chicken Soup for the Soul can. 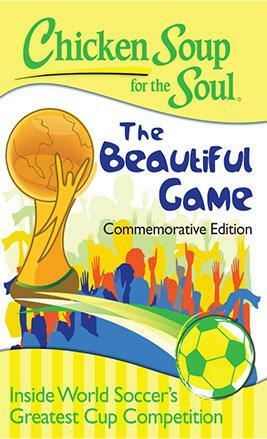 The Beautiful Game commemorates the FIFA World Cup; the world’s greatest cup competition. In this book you will find 20 first hand stories written especially for the series by players, sports writers and fans from around the world who were involved in the events that their story covers. Each story is written in its own unique way but one thing brings them all together – their passion for The Beautiful Game.